April 28, 2010 (RALEIGH, NC) – The award-winning Samuel Cole Salon now offers Great Length Hair Extensions to their guests. 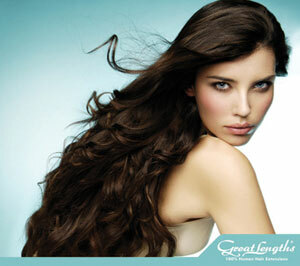 Great Lengths is an excellent fit for Samuel Cole Salon. Great Lengths offers the highest quality hair, the extensions do not compromise the health of the hair that they are attached to, and they deliver unbelievably natural results. The quality of the extensions and the vigorous training required to master the technique makes Great Lengths the ultimate in extensions. Great Lengths’ birthplace is London, one of the world’s greatest fashion centers. David Gold, founder of Great Lengths, had set himself the goal to develop a hair extension system as simple to use as cutting or drying. When in 1991 he had developed and patented the Great Lengths principle he had simultaneously discovered the first method of thickening thin and fine hair in a very simple way. This invention set off a revolution in 1991. For the first time David Gold could offer hair extensions and hair thickening in one system. Great Lengths has become a sign of our times: men – and particularly women – have started preferring non aggressive technical solutions and natural products. The award-winning Samuel Cole Salon located in North Raleigh is designed to be a modern, urban oasis away from stresses of everyday life that delivers a world class salon experience. Their stylists are naturally talented, have refreshingly positive attitudes and exude a genuine passion for their craft. Samuel Cole Salon is committed to offering the highest quality, high fashion, and performance-proven products – Oribe and Bumble and bumble. Oribe is an ultra exclusive luxe hair care line that was created by legendary celebrity and fashion stylist, Oribe Canales. 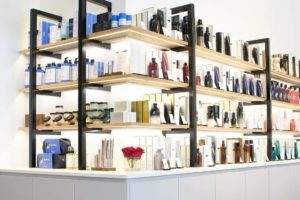 Bumble and bumble offers the finest hair care products on the market today and continues to create innovative products that deliver exceptional results. Originally designed to produce runway looks for fashion week, the Bb line is now available for your use at home. The salon has been featured nationally in Salon Today, American Salon, Modern Salon, and Metro Magazine, as well as internationally in Estetica (Italy) and StyleSpeak (India).